A campaign to educate dog owners to clean up after their pets is now in place. 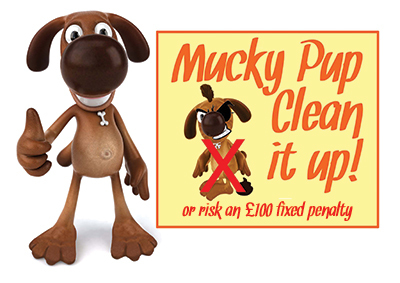 Under the Public Space Protection Order (Tamworth Dog Control) a fixed penalty of £100 may be issued to offenders. Payment must be made within 28 days. Cheques, postal orders or money orders can be posted to Tamworth Borough Council, Marmion House, Lichfield Street, Tamworth, B79 7BZ, Via phone on 01827 709709 or via Pay It Online. Text: MUCKYPUP and message to 88020. This will allow the council to record hot spots to support future patrols and campaigns.